One king bed or two double beds. View of grounds, pools, beach, or sea. Larger than standard room, with sitting area and sofa bed. Full bathroom with jetted tub for one person. Minibar (restocked daily). In-room safe (surcharge). One king bed or two double beds. View of the grounds, pools, beach, or sea. Furnished balcony or terrace. Bathroom with tub and shower. Minibar (restocked daily). In-room safe (surcharge). 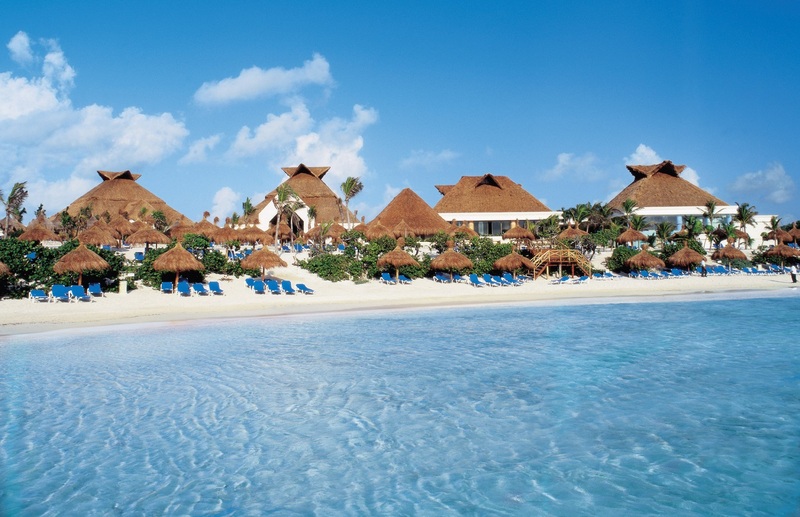 The vibrant colors, sounds and smells of the Caribbean make a stay at Grand Bahia Principe Akumal a memorable one. Endless entertainment options for the whole family are available at the all-inclusive resort. Take a dip in one of the multiple pools or take the kids over to the nearby water park. Test your skills on the open water with a catamaran, kayak or snorkel gear. Play a round of golf or get a mud massage at the spa. And after enjoying all the activities stop by the 24-hour snack bar for an energy boost or visit the chill out cocktail lounge located on the beach. And if that’s not enough to do, jump on the mini-train to explore and take advantage of the facilities at the other resorts located take in the Bahia Principe Resort Complex. Set in one of the most spectacular locations on the Riviera Maya, the Grand Bahia Principe Akumal is 1.5 hours from the Cancun International Airport. Spacious rooms, outdoor living space and excellent in-room amenities are all part of the Grand Bahia Principe Akumal experience. Each of the rooms includes air conditioning, a mini-bar, satellite television, balcony or terrace, iron, safe and a hair dryer. Upgrade to the Club Golden section and added perks include a welcome cocktail, bathtub with hydromassage, bathrobe and slippers, private reception, 24-hour room service and VIP amenities in the bathroom. Handicap accessible rooms are available. Grand Bahia Principe Akumal has pool bars and beach bars to enjoy a cocktail by the water. Or for a more lively spot visit La Rancherita nightclub or catch the big game on a giant screen in the sports bar located inside a replica of a traditional hacienda. Massages, facials, body wraps and other non-traditional treatments are available at the full-service spa and salon. For kids ages 4-12 the Bahia Scouts mini club is a great place to hang out, have fun and make new friends. Or head over to the Bahia Scouts Waterpark located at Gran Bahia Principe Coba for fun with the whole family. Enjoy a round of golf at the Riviera Maya Golf Club. The 18 hole course was designed by Robert Trent Jones II for players of all levels.